Katharine Allen is a partner in the Real Estate, Land Use and Environmental Practice Group in the firm’s San Francisco Office. 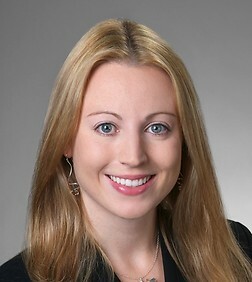 Katharine's practice focuses on commercial real estate transactions and real estate secured financing. She has represented clients on a wide variety of real estate transactions with an emphasis on acquisitions and dispositions, sale leaseback transactions, commercial leasing, joint venture transactions and limited liability entity formation. Katharine's commercial lending experience includes both single lender and syndicate real property financings secured by office buildings, industrial and warehouse facilities, wineries and vineyards, apartment complexes, retail developments, hotel and resort properties, and mobile home communities.